Jackie Stewart took his first win of the season in South Africa as he guided his Tyrrell-Cosworth to victory at Kyalami. Denny Hulme debuted the new McLaren M23 and took pole position ahead of Emerson Fittipaldi's Lotus 72 and the older McLaren M19 of Jody Scheckter. Hulme led the field away and Scheckter tucked in behind him with Fittipaldi maintaining the grid starting order in third. Behind them, Peter Revson made a good start for McLaren. 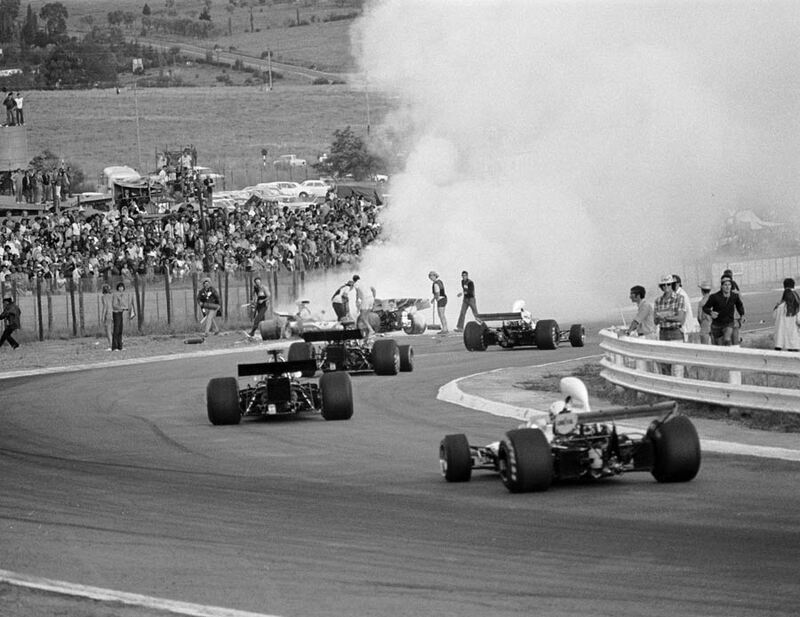 The major incident of the race happened on lap three when local driver Dave Charlton crashed his Lucky Strike-backed Lotus 72, leading to a huge pile-up. Charlton was challenging Carlos Reutemann's Brabham for sixth place but lost control and hit Mike Hailwood's Surtees. Cars littered the track and although most of the field wriggled through a narrow gap, Jacky Ickx and Clay Regazzoni arrived unsighted. Regazzoni hit the Surtees and the BRM burst into flames. Jumping quickly from his car, Hailwood dived into the inferno, undid Regazzoni 's belts and dragged him out of the blazing car. The Swiss driver suffered only minor burns and Hailwood was awarded the George Medal for his bravery. Denny Hulme suffered a puncture as a result of the accident and Scheckter took over the advantage when racing resumed but Jackie Stewart then took the lead on lap seven and never looked back. Scheckter looked set for second until his tyres faded and he dropped down the order, eventually to retire with an engine failure. It meant that Revson took second place from Fittipaldi with Arturo Merzario's Ferrari fourth and Hulme fifth.